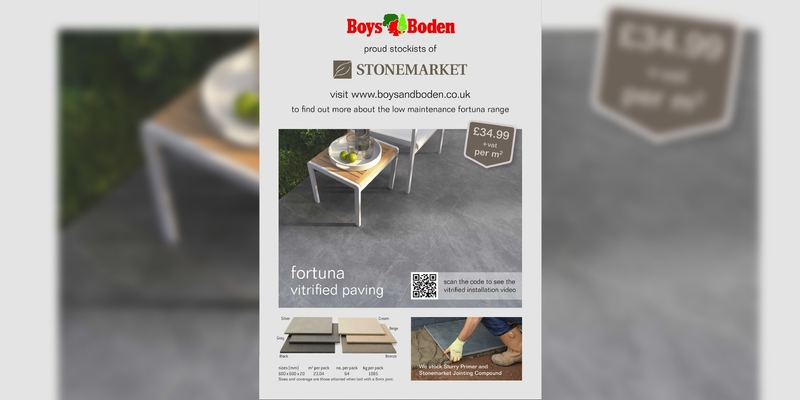 Stonemarket Fortuna Vitrified Paving is available at Boys & Boden for just £34.99 +VAT per m². This quality paving is available in a range of subtle colours that provide an attractive finish in any space. At Boys & Boden you can also find everything you need to properly install your paving to a professional standard. 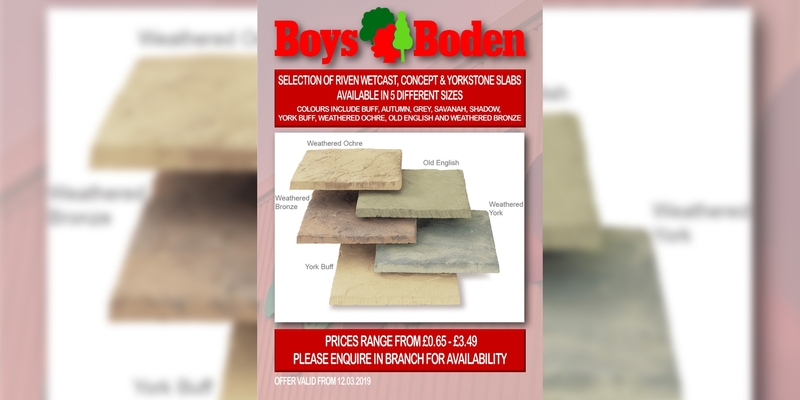 If you are looking for even more variety in colours and designs, a selection of Riven Wetcast, Concept and Yorkstone Slabs are available at low prices that range from 65p to £3.49 +VAT. This extensive range of products come in 5 different sizes, and includes colour designs such as: Autumn, Grey, Savannah, Shadow, Buff, York Buff, Weathered Ochre, Old English and Weathered Bronze. All offers run for a limited time and are only available while stocks last. To discover more about the paving options and great deals available, visit your nearest store in Chester, Shrewsbury, Welshpool, Newtown or Llandrindod Wells. We also have a handy store locator map.